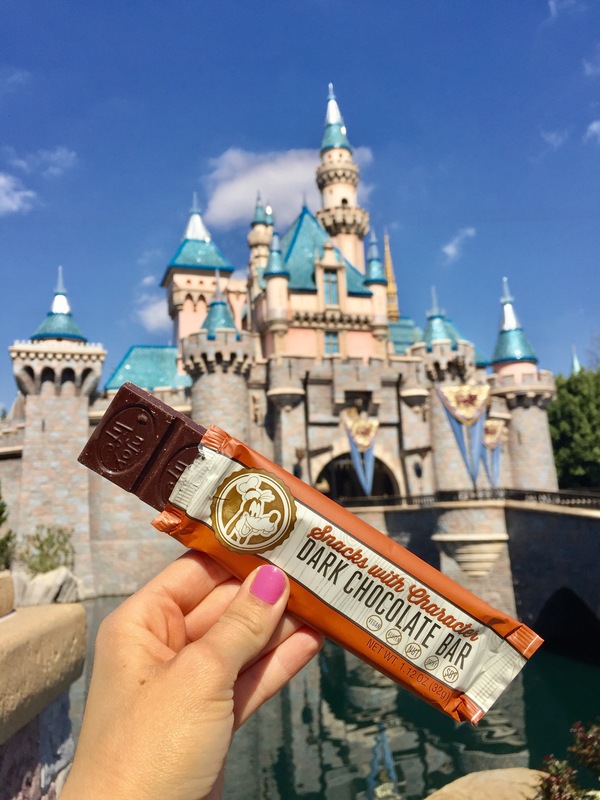 As a healthy lifestyle blogger who is always going to Disneyland, there is one question I get almost daily from my readers: How can I snack healthy while at Disneyland? It’s no surprise this is a common concern – when you’re visiting the Disneyland Resort, you are doing a lot of walking, often times in the heat over a period of several hours. Such a busy and active day would call for a lot of snacking! However, with many delicious treats; cookies, churros, ice cream cones, etc., it can be hard to resist those treats and stick to healthy snacking. I also like to avoid high sugar treats when I’m walking in the sun, so that I don’t have to worry about my blood sugar crashing. So you can imagine that I was over the moon when I noticed that Disneyland Resort started getting in some delicious Enjoy Life Foods products that were vegan, dairy-free, gluten-free, soy-free, and low in fat and sugar content. I have purchased Enjoy Life Foods delicious products at my regular grocery store, and already knew it was a high quality brand that I loved, and that genuinely has a passion for creating healthy and allergy friendly snacks that taste amazing. That’s why, once I discovered these snacks at the Penny Arcade at Disneyland and at World of Disney in Downtown Disney, I had to spread the news and answer everyone’s burning question: How can I snack healthy while at Disneyland? This package has two deliciously crunchy sugar cookies! I love that they are the trusted Enjoy Life Foods brand but with awesome Disney packaging. I feel like its rare that you find sugar cookies that are also gluten-free and dairy-free, so these cookies are a pretty awesome find! My personal favorite Enjoy Life Foods treat is the Dark Chocolate Bar! Also of course, gluten-free, dairy-free, nut-free, and soy-free. Not to mention, low in sugar and fat. There are four squares of chocolate, so this is perfect for sharing. I love to get this bar as a snack to share with my family as we wait for the parade to start. Or, if we just want a little something sweet after a dinner at the Resort we can all split this bar to satisfy our sweet tooth! They also offer the allergy friendly, healthy chocolate bars in milk chocolate as well. Maestro seems to think they’re tasty! Who can resist a crunchy chocolate chip cookie? Especially when it’s a pack with TWO cookies? These chocolate chip cookies definitely hit the spot, and tasted delightful when I paired them with my coffee while resting and people watching at Disneyland. My husband also loves to occasionally share this cookie two-pack with each other while we are waiting in a long ride line. This vegan and gluten-free Mountain Mambo mix is the perfect healthy combination of sweet and salty! Splitsville Anaheim – The Luxury Lane and Dining Experience!